The "Death Spec" is heavily armed but short on armor, cargo capacity, and range. 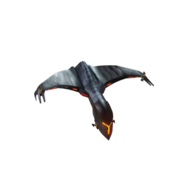 This ship is the Klingon/Romulan warbird often seen in several different Star Trek series and movies. This page was last modified on 28 July 2013, at 14:57. This page has been accessed 14,548 times.